Can't find a driver for your HP Photosmart C6200 ? 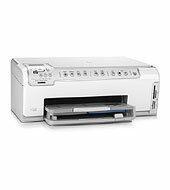 We reverse engineered the HP Photosmart C6200 driver and included it in VueScan so you can keep using your old scanner. VueScan is an application for scanning documents, photos, film, and slides on Windows, macOS, and Linux. VueScan supports over 5600 scanners from 42 manufacturers - even when there isn’t a driver available from the manufacturer. Whether you’re having trouble getting your scanner connected to your computer, or you want to use the scanner software with the most features, VueScan is the tool for you. Whether you need to scan a single page or a hundred page book, VueScan has the tools to help you. Do you have boxes full of photos in a drawer? Use VueScan to get them on your computer, and off your to-do list. My scanner, though perfectly good mechanically, had been orphaned heading into Windows 7. VueScan brought it back into use, and the new version for Windows 10 carried that on. The application is excellent. VueScan is compatible with the HP Photosmart C6200 on Windows x86, Windows x64, Windows RT, Windows 10 ARM, Mac OS X and Linux. VueScan Mobile also works with this scanner on the iPad, iPhone, Android and Kindle Fire. You need to install the HP driver to use this scanner on Windows x86. If you're using the network connection to this scanner, then you don't need to install any HP drivers. However, you might need to make sure your firewall is configured to allow VueScan to talk to your scanner. You can use this scanner on Mac OS X and Linux without installing any other software. On Linux, you need to set up libusb device protections. VueScan uses in-scanner JPEG compression with this scanner to scan faster. This is significantly faster when scanning over a network connection. You can turn this off by setting 'Input | Fine mode'. HP sold this scanner in some countries as the Photosmart C6240 / Photosmart C6283 / Photosmart C6285 / Photosmart C6286 / Photosmart C6288 / Photosmart C6245 / Photosmart C6250 / Photosmart C6260 / Photosmart C6263 / Photosmart C6268 / Photosmart C6270 / Photosmart C6275 / Photosmart C6280.